All ERIE HIGHLANDS homes currently listed for sale in Erie as of 04/22/2019 are shown below. You can change the search criteria at any time by pressing the 'Change Search' button below. 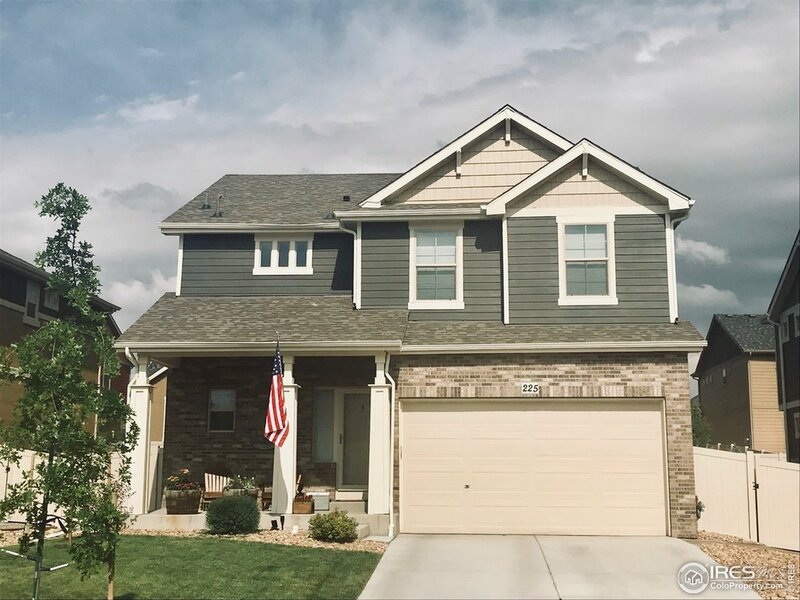 "ENHANCED Oakwood model home has all the upgrades: hardwood flooring, wood beams, custom tiled shower, 2 heating units, water feature, golf cart space, a large great room ideal for entertaining! Beautiful ktchn w/ SS appliances, mosaic tile back-splash... Smart space turns ranch into a 2story w/ 2nd master & unique flex space. Basement w/ 9' ceilings, 2 beds and full bath. It is made for efficiency and impeccable tastes. Pocket park across the street & impressive mountain views from porch!" "Have best of both worlds with main level living and dual master suites! Inside you will find a gourmet kitchen with ss appliances, gas range, slab granite-eat in kitchen island, main floor master bedroom with on suite master bath and spa shower.There is also a flex space that is perfect for an office or formal dinning room.Head up to the Smart Space where you will find a loft/living room and huge guest master suite with guest master bathroom. Shows like a model!" "Like New! Spacious kitchen and open floor plan designed for entertaining and relaxation. 3bdrm home includes desirable 2nd floor bonus room,upgraded kitchen w SS appliances,gas range,granite counters.Attention to detail throughout.Custom lights, handscraped hickory floors, tile-work.Too many upgrades to list!Professionally landscaped front/back yards with sprinkler system.Unfinished Basement ready for your dream space! Neighborhood has a private pool/club house, multiple pocket parks and trails."